Today, as summer looms on the horizon there is no better time to talk about havinmg super clean skin and feeling refreshed! 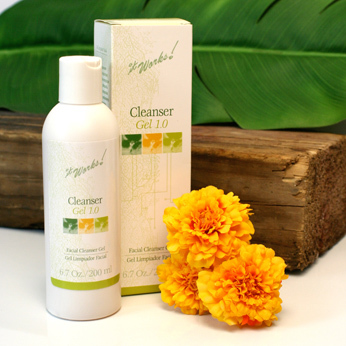 The Cleanser does not contain chemicals and will wash off without leaving a residue behind. I use it to remove my make-up. It even takes off my eye make-up without leaving itchy, red, or stingy eyes behind! If you have this product I would highly recommend using it in the area you are planning to wrap as well. Your pores will be free to accept the ingredients without a film left behind by soap or lotions! I have had problems with acne my entire life and was even on the drug Accutane at one point to help it. I have had the best results with this product! My acne is almost non-existant! I even use it on my children's sensitive skin. After a day in the sun you will want to hydrate your skin. 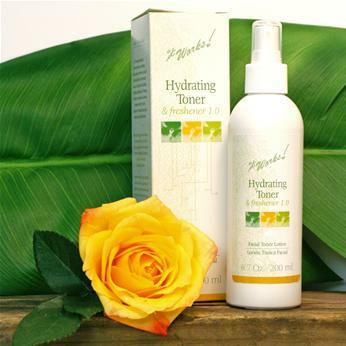 You can do that quickly with the Hydrating Toner. Just spray your face and go on your way! We love this product in my household. My husband uses it as an aftershave. He likes how it dries so quickly and doesn't worry about getting a ring around his collar. I use it as a toner. The entire family use it on bug bites to take the itch away, rashes of any kind (diaper rash included), burns, and sunburn! Put a bottle in your refrigerator in the summer and use it on sunburn. It has a high concentration of aloe in it and isn't sticky like the kind of aloe you get in the store to put on your sunburn. It dries very quickly so don't worry about your scortched arm sticking to your sleeve!